For the Inspiration challenge over at Splitcoast today – Daniel Maher Stained Glass. Wow! What a talented artist with so many beautiful designs. I chose this piece for my inspiration. 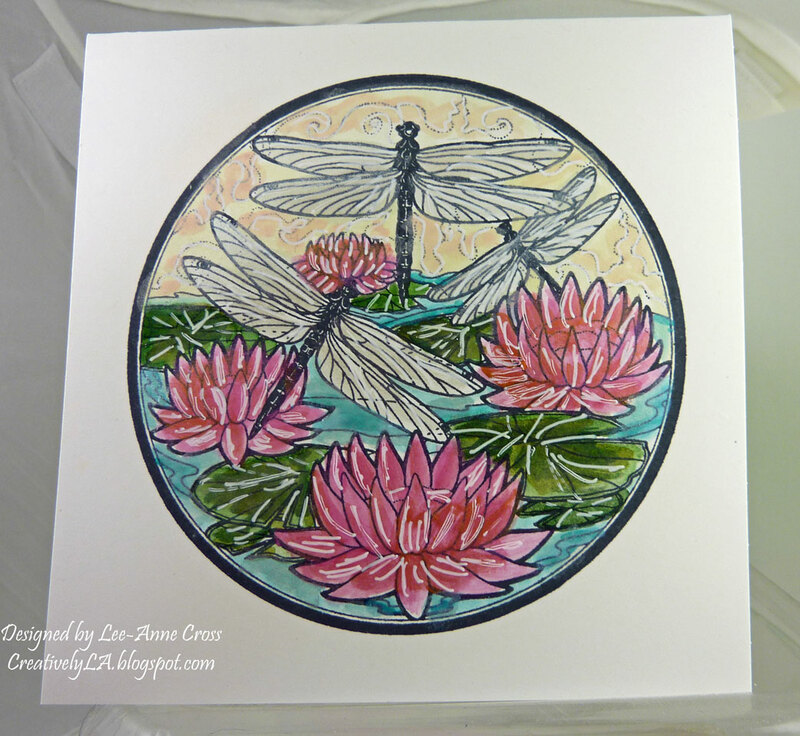 My cardbase, a 5 1/2″ square is made with Gina K. Heavyweight Card Stock. The Rubbernecker Stamp Company image has been stamped in Memento Tuxedo Black and then colored with Luminarte H20’s. Now that’s a change for me, normally the first thing I grab is my Copics! Once I was done painting with the H20’s, then I added a little bit of watered down, Lumiere paint here and there; and then finally I used my white Signo pen and scribbled here and there very loosely for a little interest. That’s it for today! Hope you’re having a wonderful Saturday! Love the way you framed the beautiful image! Wonderful coloring! Beautifully done!